Given the top flight production values all of her singles received, one would think that Betty Turner had a really big chance of breaking through to become an accomplished recording start of the West Coast recording scene. Of course, it’s another story of not exactly turning out that way, as perhaps her two most refined efforts got saddled with competing with each other for attention on the same 45 RPM single. Although the fast and furious “Be Careful Girl” gets all of the attention from Northern Soul fans today, a lot of good introspective heartbreak happens in the shadows of the B-side courtesy of up and coming songwriting duo Pam Sawyer and Lori Burton. 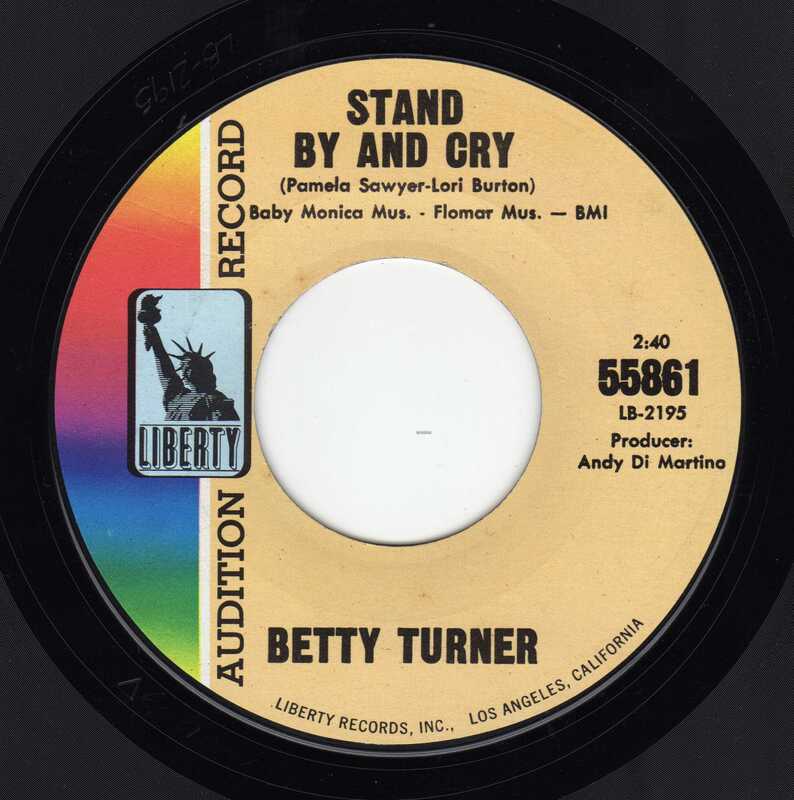 Although it was recorded by The Hopefuls at the same time, Betty Turner’s version of “Stand By And Cry” meanders at a slightly slower and more disorientated pace that seems more appropriate for the lyrics. With a slightly more lush string arrangement that sharpens the focus and cuts through the haze of the heartbreak as Betty plunges headstrong into the chorus, I give the tip of the hat to Betty’s version.